Physical activity during the school day helps improve student learning, social emotional skills, and attention during class. However, recess and physical education are often taken away for punishment for students that didn’t complete their homework or acted out in class. Often times, these are the students that need physical activity the most. 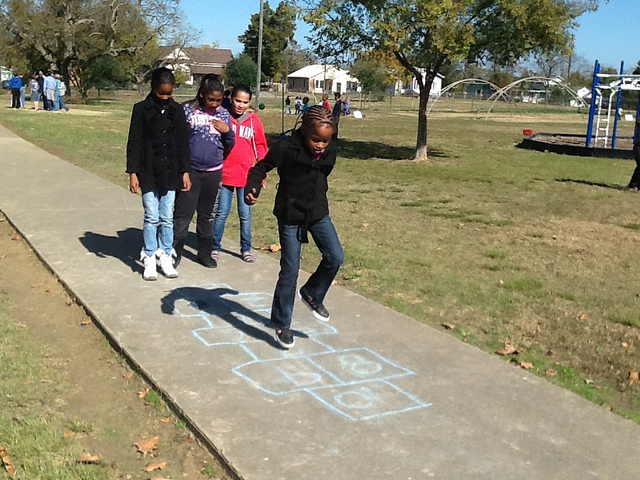 Ensure students get the activity they need by keeping them at recess and in physical education. Implement healthy, alternative consequences! Educate school administrators, teachers and parents. Make sure they understand the importance of recess and physical education and how it impacts learning. Use information from The Learning Connection Report to make your case. Host a staff professional development on effective classroom management techniques. The less behavioral issues, the less withholding of recess and PE that will occur. Train staff on alternatives to withholding recess and PE. Share tip sheets in their mailbox, take 5 minutes of a staff meeting, or send a staff-wide email to communicate the message. If possible, connect it back to your district wellness policies. Work with the school dean and social worker to develop effective consequences for students. Develop a list of behaviors and appropriate, corresponding consequences that aim to improve student behavior, self-discipline, and overall school functioning. Reinforce positive behavior through non-food rewards, recognition, or an incentive program. Positive, consistent rewards can encourage good behavior from students. Develop an accountability system. Who can parents and students tell in the event that they are withheld from physical activity? How can teachers be held accountable? Makes sure your school administrators are supportive of alternative consequences. Ask them to approve materials that are shared with staff and help enforce this practice. Identify a teacher or other staff member who excels in classroom management. What consequences does he/she use for poor behavior? Review classroom expectations frequently and develop consistent routines to help students understand what appropriate behavior looks like in the classroom. Keep it positive. Reward students that are doing things you want to encourage others to do the same. While you avoid withholding physical activity as punishment, also avoid using physical activity for punishment, such as making students walk laps or do push-ups for poor behavior. This can result in a negative image of physical activity. Remember, physical activity should be fun! Engaging volunteers has a wide range of benefits. Volunteers can offer new perspectives and make a lasting impact and contribution through their knowledge base and support. Volunteers can provide an extra helping hand or a needed, valuable skill set. Who in your network has skills or interests that complement your needs? Brainstorm ways to engage individuals, organizations or businesses as volunteers to help.